Designed for use in schools, pre-schools and nurseries, our Count to 20 Number Rugs are bright, durable and offer a fun element to learning. 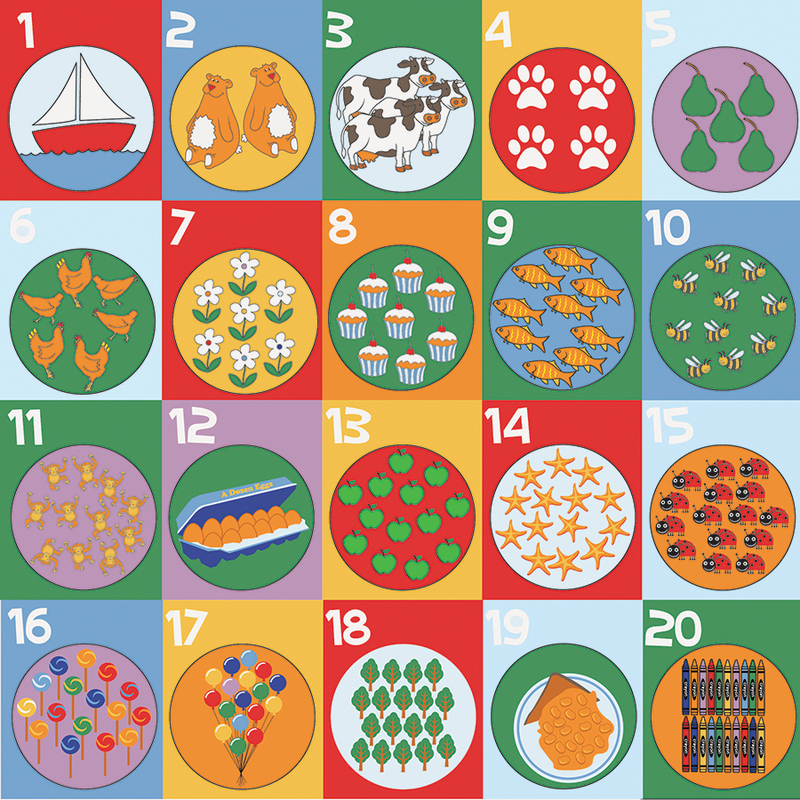 It’s as easy as 1, 2, 3 with our colourful and simple number mat. The vibrant design will brighten up any classroom as well as add a fun and interactive way to count. 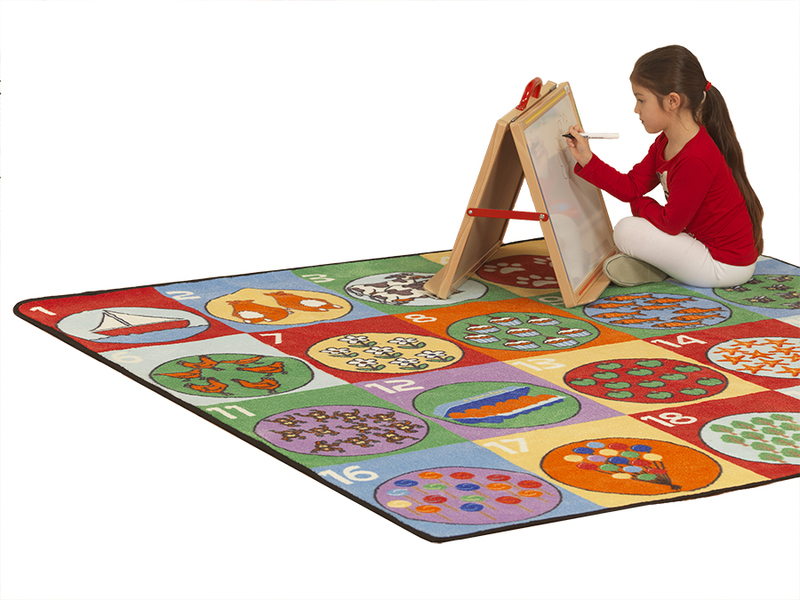 This classroom rug features 20 squares with fun illustrations for children to use either on their own, or as a part of a group. The classroom carpets feature triple felt backing, double stitching and benefits from a locked in anti-microbial feature for improved durability and cleanliness. Manufactured to order and dispatched within 10 workings days.